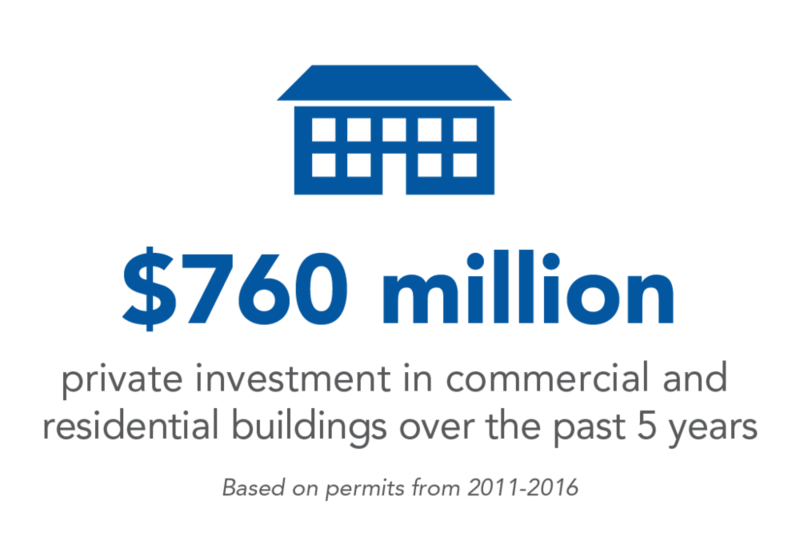 The infrastructure in Wake Forest is sophisticated, affordable, modern, and constantly expanding. The Town can supply all power, water, and telecommunication needs, and boasts a rapidly expanding fiber network. 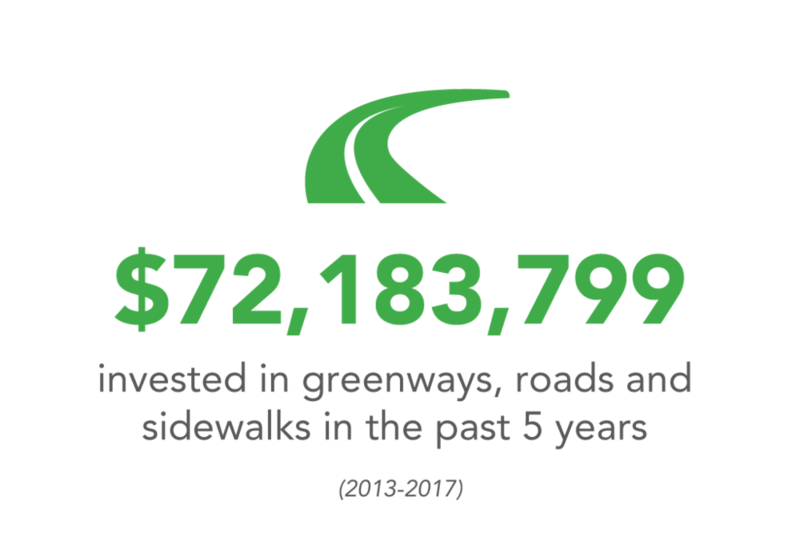 AT&T, CenturyLink, Spectrum, and Windstream are the primary providers of telecommunications service to residents and businesses in Wake Forest. Wake Forest has over 500 miles of laid fiber capable of serving thousands of businesses and residents. 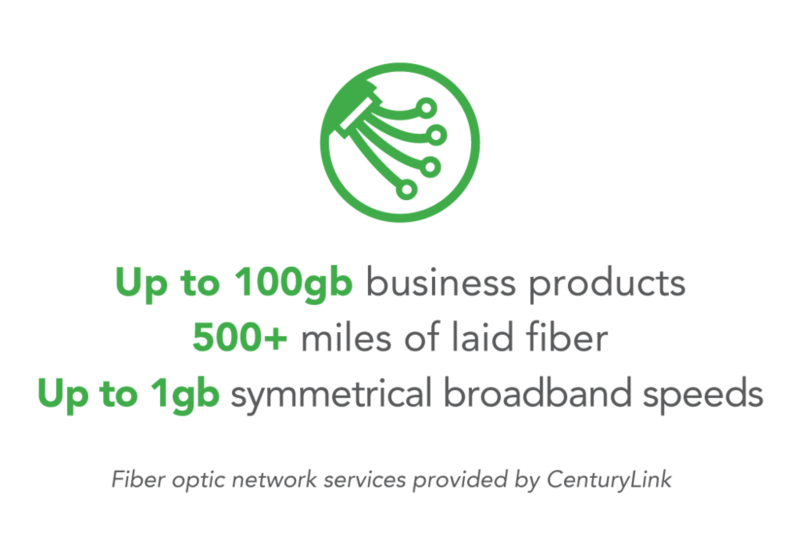 The local North Carolina headquarters of CenturyLink considers Wake Forest its primary showcase in the state for its ever expanding, high-speed fiber optic. A plethora of natural gas resources are available in Wake Forest that are delivered to customers by PSNC Energy. 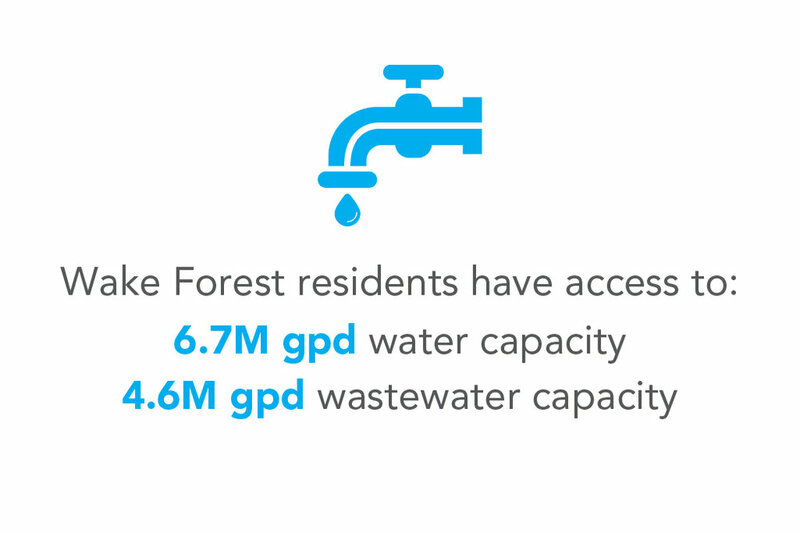 The City of Raleigh owns and operates the water and wastewater systems providing services to Wake Forest businesses and residents.